If you’re new to waterproofing on your deck, it’s time you knew how much these coatings protect deck surfaces through the most torrential weather. What’s important is to set aside some time to get waterproofing done when you finally have a dry day. This coming spring or summer is always the best time, though you need to have a general contractor who knows how to prepare. 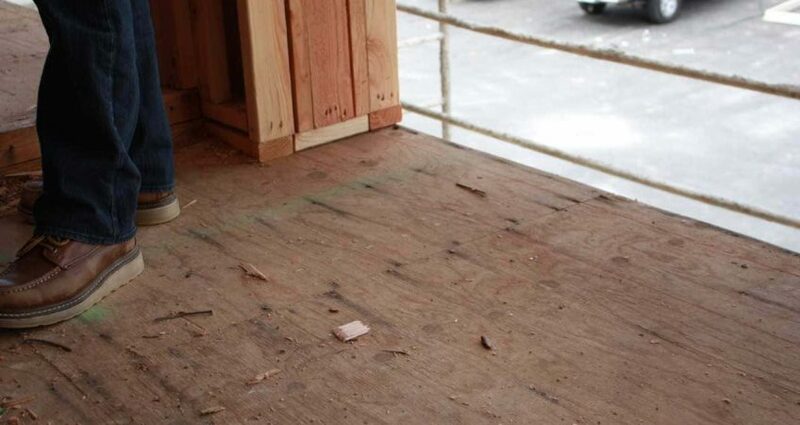 Learning how to prepare before a waterproof deck project is essential for both you and the contractor so you’re on the same page about what to expect. On your end, you need to let the contractor gain access to your property and not find unexpected surprises. On the contractor’s end, they need proper tools to allow for a smooth process in applying a waterproofing coating. Let’s take a look at how to prepare and what to look out for to avoid mistakes. If you’re building a new home and plan to have the contractor do waterproofing on your new deck, it’s important you be there to assure there’s no obstructions. First and foremost, the contractor needs to have a clean and clear area to work. Don’t have construction materials lying on your deck and assume someone can still apply a coating without problems. The first thing the contractor is going to do is prep your deck surface by removing any furniture or grill. They’ll also look for any loose boards or other damage. These need repair before the coating goes down. Afterward, make sure the contractor has one handy tool with them to continue their prep: Sandpaper. It’s imperative to have a smooth deck surface before any waterproofing takes place. A well-prepared contractor is going to have sandpaper with them to smooth out rough spots, as well as dings and splinters. Doing this assures you’ll have a perfect application without overlooking damage to the wood. If necessary, this may mean sweeping up debris to assure as clean a surface as possible. Even this shouldn’t become the final prep process. Make sure the contractor scrubs the deck with a scrub brush and water. With a thorough wash, you’ll have assurance no debris is in the way. Now you have to wait a couple of days for the wood to dry. You can’t apply waterproofing coating when the deck is wet. The contractor has to thoroughly mix the coating before application, and they should apply the system’s coatings evenly. When arriving, the application team should have smaller paint brushes handy to reach corners and railings. Missing just one small spot could make this area of plywood (or concrete) stay vulnerable to weather. Allow time for the final layer of a waterproofing system to dry. Don’t place your furniture back on your deck until you know the drying process is completely done. Your contractor needs to know this as the final part of their work schedule. Here at Pli-Dek Systems, we’ve created waterproofing coatings that successfully protect your deck in just one application. Drying is also fast, making the whole process easy once you’ve properly prepared everything else. Contact us to find out more about our waterproofing systems for both plywood and concrete decks.